If you have taken your time to stroll around the city, you probably have noticed that behind every corner there is something new to be amazed by. Palma and its endless little streets, hidden cafés and cobbled pedestrian alleys sure has a lot to offer to visitors and residents. And when discovering Palma by foot you will bump into some historic and emblematic buildings that are well-worth a visit. So today for our Palma guide by Nakar we are more than ready to unveil three of the most emblematic buildings in Palma’s old town. ‘Fundació La Caixa’. 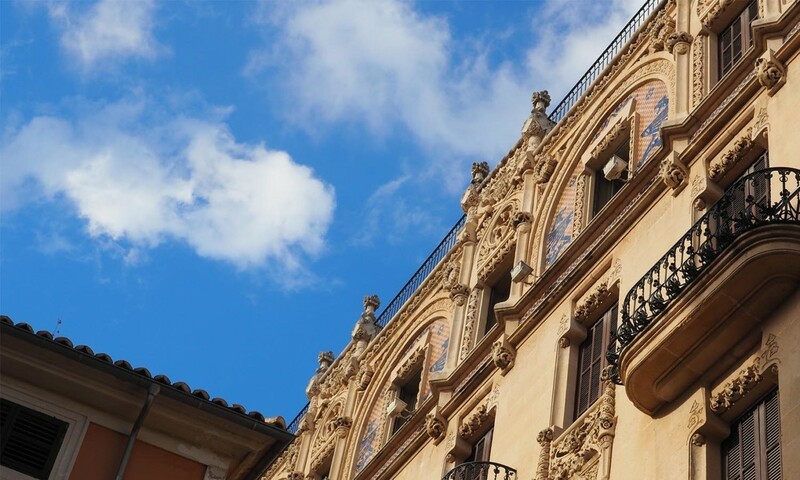 The building that used to be the old Gran Hotel in Palma became the most beautiful gallery in the city. But even if you will find inspiring art inside, the most attractive part of this place is actually is looks from outside. 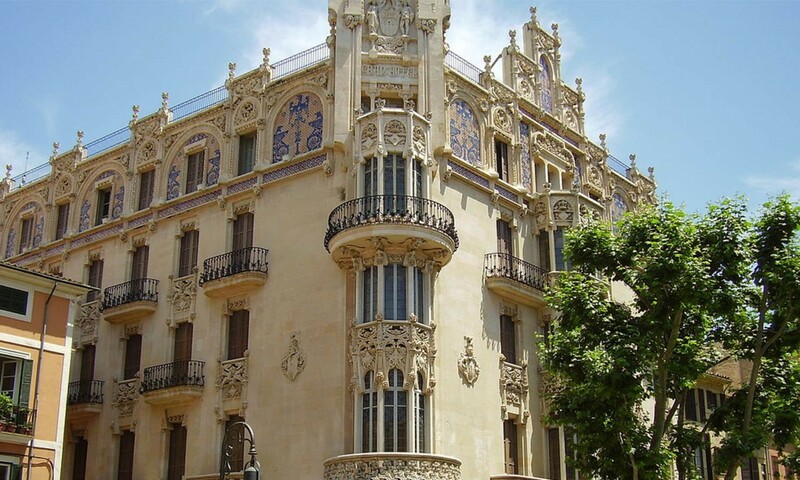 This iconic Modernist building was designed by the Catalan architect Lluís Domènech i Montaner and started the ‘art nouveau’ fever around Palma. La Caixa foundation restored it and reopened it in 1933. You should stop by and take a closer look to the many tiling details, balconies and ornate iron railings. ‘Can Rey y Almacenes El Águila’. 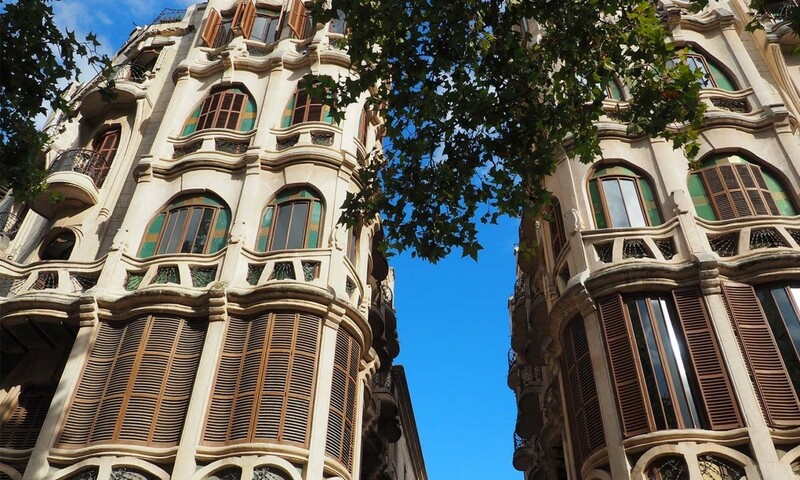 Continuing with our tour through Palma to discover the most emblematic buildings in the city, we head towards Plaza Mayor and on the street called Calle Colom your attention will quickly be dragged to two buildings standing side by side. 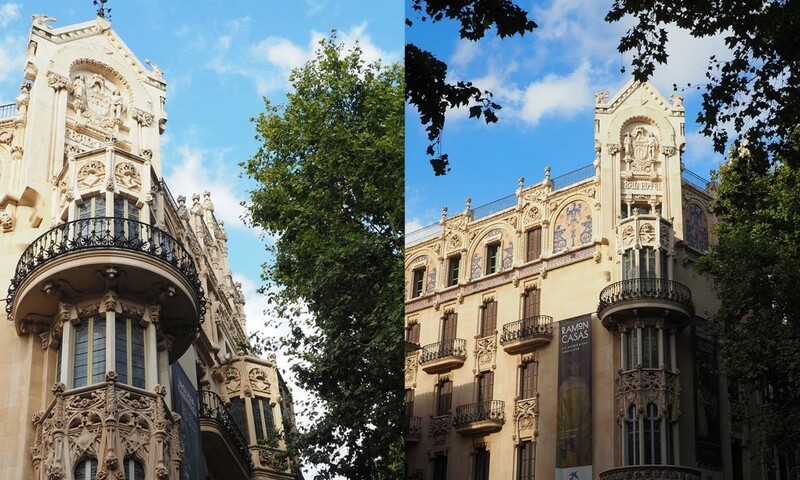 Both buildings share their ground structure and are another clear example of the Modernist art expression in Palma. 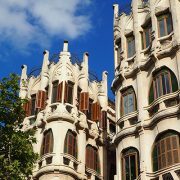 With a strong influence by Gaudí, these buildings are also strongly decorated with an art nouveau trend marked by the round decorative arch. ‘Casasayas’ and ‘Pensión Menorquina’. Right on the well-known ‘Plaza del Mercat’ two beautiful buildings stand out. 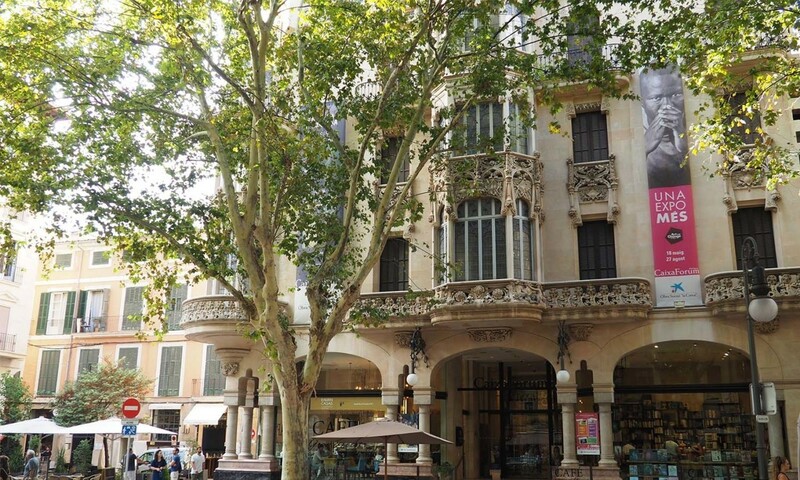 It’s ‘Casasayas’ and ‘Pensión Menorquina’, a modernist building built in 1908 by Francesc Roca and Guillem Reynés for Josep Casasayas, the owner of one of Palma’s oldest bakery shops, Can Frasquet. Both are symmetrical and identical buildings separated by a little street called Santacília, but were actually meant to be connected somehow. The ondulant facade is due to the concept of dynamism in architecture. 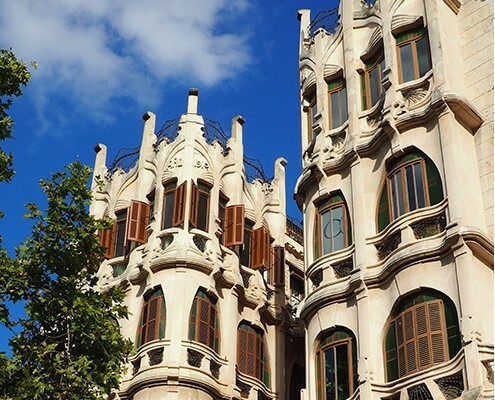 Some experts say that these buildings are not pure modernism, as they are not decorated or ornamented with floral or animal details and it could be catalogued as a secessionist building instead.